Buying weight loss medication online is easy with our secure and reliable service. 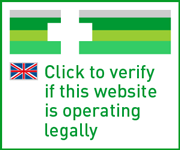 All approved orders are sent by speedy next-day delivery from our UK-based pharmacy. One Xenical capsule contains 120mg of orlistat. These are taken with meals, up to a maximum of three times per day. Xenical is a prescription pill which helps the user lose weight. It is intended to be applied as part of a weight reduction programme, including a healthy diet and exercise regime. A branded treatment, it was previously made by Roche, but is now manufactured by Cheplapharm following their acquisition of the company. The functioning constituent in Xenical works by altering the way the body processes fat in the digestive system. The subject of obesity is one which has received an increasing amount of coverage over recent years, as it is an issue which affects a high number of people. The NHS estimates that around 25% of adults in the UK are obese, and that millions more are overweight; and as a result, more susceptible to serious illnesses such as heart disease and diabetes. As well as contributing to these potentially life-threatening conditions, being overweight can also hinder a person’s everyday life, by putting strain on their joints and muscles and decreasing mobility. For these reasons, it is important for someone who is obese to get help if they are finding losing weight on their own difficult. When treating obesity a doctor will usually address someone’s diet and lifestyle first. They may issue a specific diet and exercise programme, or refer them to a specialist who can. In addition to this, they may also recommend weight loss pill, such as Xenical. While many companies may claim to offer products which provide quick and easy weight loss solutions, Xenical is a proven prescription treatment which aids consistent and healthy reduction. By focusing its activity in the gut, Xenical helps the user to lose weight by managing the enzymatic processes responsible for absorbing fat into the body. Certain enzymes, known as lipases, break the fats we eat down and facilitate their storage in the body. Xenical stifles the function of these lipases, and reduces fat absorption by around a third. These fats then exit the body through faeces. Where can I buy Xenical? We know that it can be hard finding the time to visit your doctor in person. At Treated.com, our fast and confidential service enables you to buy the weight loss pill you need online, from a registered UK pharmacy. All orders are reviewed by a practising doctor, and once approved, dispensed and shipped by 24-hour courier. Can I get Xenical without a prescription? No. Xenical is prescription-only meaning you will have to consult with a doctor before being able to buy this treatment. Our private consultation facility enables you to have your case reviewed by a practising physician, who will only issue a prescription if they believe it is safe to do so. When it comes to using any medicine, safety is paramount. You should always follow the directions your prescriber issues, and adhere to the guidelines set out in the patient information leaflet during use. Take Xenical as directed by your doctor. This will usually be one tablet, taken at mealtimes for a maximum of three times a day. It can be taken straight before, during or up to one hour following a meal. Capsules should be swallowed whole with water. Never take more than your prescriber has advised. In the event that you miss a dose, do not compensate by increasing your next one. Take your next scheduled dose as normal. This is only a summary of the directions you should follow. More detailed instructions can be located in the patient information leaflet. If you need any further assistance, speak to your doctor. It is essential to let your doctor know if you notice any side effects which concern you, or experience signs of an allergic reaction. Oily or watery stool secretions, headache, abdominal pain, or increased bowel urgency. Rectal pain, softer stools, incontinence (stools), bloating, tooth or gum disorder, irregular menstrual cycle, or tiredness. The information provided here is not comprehensive. A more detailed index of associated side effects can be sourced from the patient information leaflet. Always let your prescriber know if you are using any other prescription, non-prescription or remedial treatments during consultation, as these may affect your suitability for this medicine. This product may interact with the following: anticoagulant drugs such as warfarin; ciclosporin; iodine salts or levothyroxine; amiodarone; HIV treatments; certain supplements and vitamins; anticonvulsivant treatment; antiepileptic drugs; or acarbose. Some conditions may make this treatment unsuitable for use. Inform your prescribing doctor of your medical history before using this treatment. It may not be safe for users with chronic malabsorption syndrome or cholestasis. Patients taking Xenical may become deficient in fat soluble vitamins as a result. Vitamin D levels are thought to be particularly affected by this medicine. It is therefore recommended if you are taking this medicine that you also take a multivitamin (A-Z) supplement as a precaution if they are suitable for you, and that you also speak to your doctor about supplementing vitamin D levels. Seek medical advice if you become lethargic or begin to feel constantly tired. Do not use Xenical if you are pregnant, trying to become pregnant, or breastfeeding. Xenical is not thought to have an effect on driving or the ability to use machines. When taking Xenical, you must follow the instructions regarding food provided in the leaflet, otherwise it will not be effective. Yes. Alcohol should not influence the way Xenical works. Yes. Your capacity to drive is not likely to be affected. However, if you experience any side effects which may make driving unsafe, you should not drive and speak to your doctor. Can I take the medicine if I’m pregnant? No. Do not use this treatment if you are pregnant or breastfeeding. In a secure, dry environment, out of the reach of children and below 30 degrees. These capsules contain orlistat, microcrystalline cellulose (E460), povidone (E1201), sodium laurilsulfate, talc, sodium starch glycolate (type A), gelatine, titanium dioxide (E171), indigo carmine (E132), and edible printing ink. No. You cannot buy Xenical without prior consultation with a doctor. Our online service enables your case to be reviewed by a GMC-registered practitioner, who will issue a prescription if your medication is safe. Let us help you find out. Take our short questionnaire, and a qualified physician will evaluate your answers. If the medicine is suitable for you, they will draw up a prescription and send this to our UK pharmacy, who will prepare your order and ship it to your door. We only ever use tracked courier services, so you can be assured that your item will arrive safely, and within one working day of approval.